Last week I did a snowy winter palette, and honestly I’m not sure I would ever get tired of rich neutral, wintry palettes. 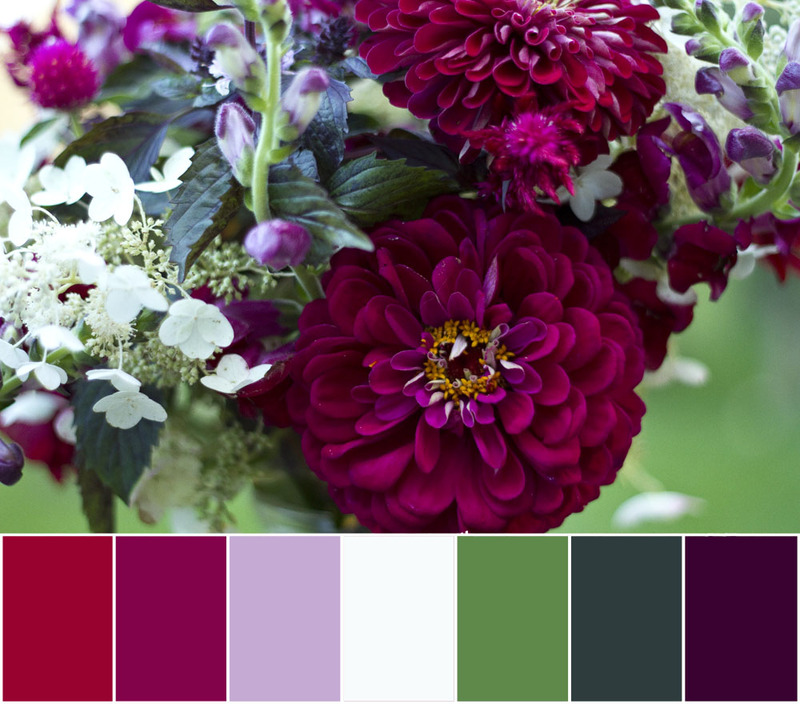 But this cheerful palette is for my friend Anjeanette, who doesn’t think the mid-Atlantic winters are so awesome. 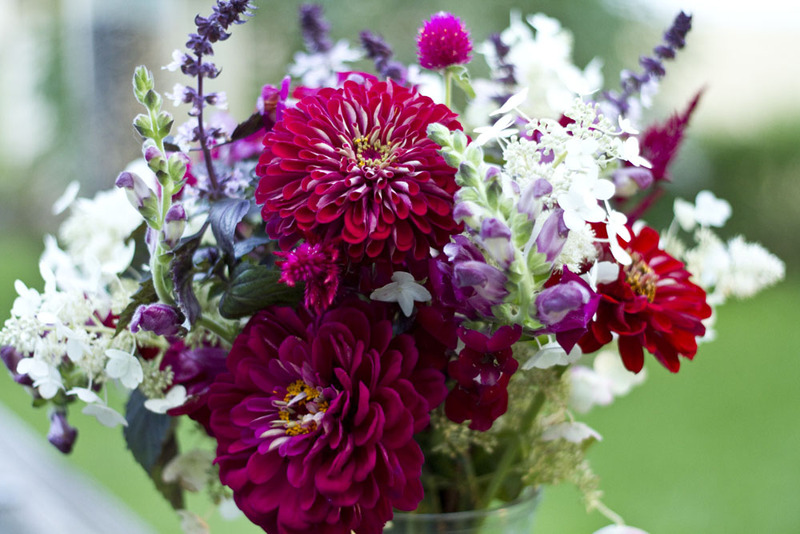 I got this bouquet at a farmers market in the dead of summer, and photographed it just as the sky was trying to rain. The cloudy sky made the cerise really pop and gave the greens a moody bluish cast. I am so grateful that Pink Chalk Fabrics has granted permission for me to use their images to mock up quilt patterns! I have long admired their carefully curated collection of modern fabrics. 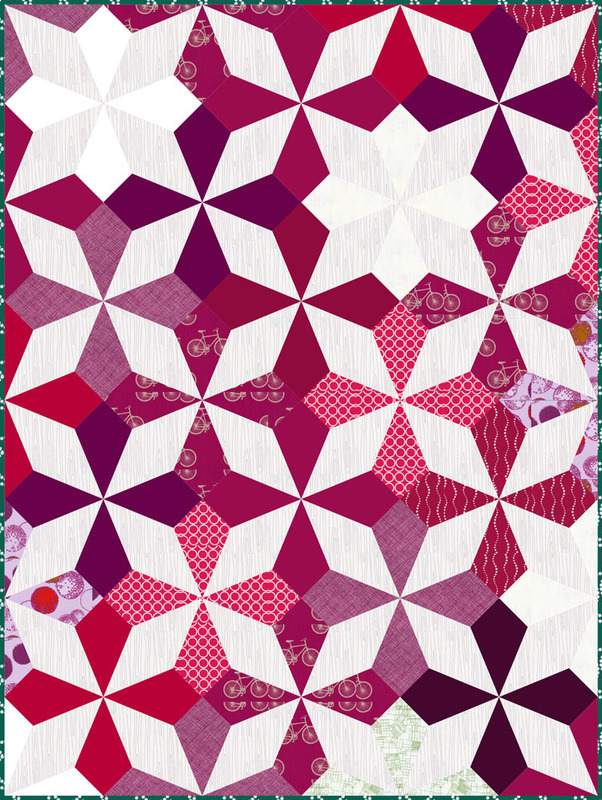 This quilt pattern is called Maltese Cross. If you use 15″ blocks like this, it will finish 64×85, perfect for napping on the couch or for my little girls’ beds! Actually, early this morning found me in the basement, pulling fabrics for this quilt- I have a big stack of fuchsia, enough of the purple-ey tones, and of course my fuchsia tiles fit perfectly! 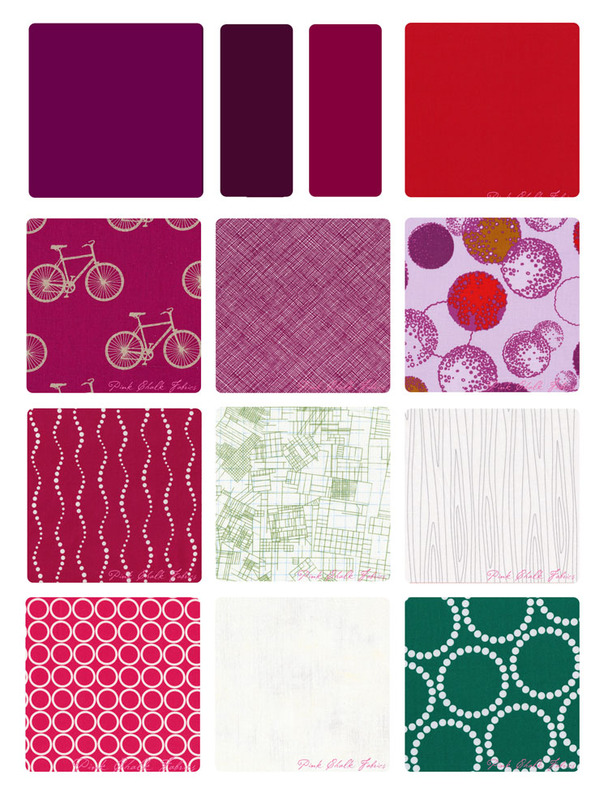 I could totally make this quilt, well almost totally- I have almost no interesting whites. Need to get on that. Wow that one really speaks to me. I sure do love these colors. I am wondering how you pull the colors out of the photograph? Do you have a tool to do that or is it just a selection process in photoshop? Saw your answer on Flickr. thanks! Adobe’s photoshop eye dropper is a great tool! Now I am wondering about the quilt layout how you build those? Will you be making some of these quilts? Oh my Gosh, Frederick! I wish that I could make a quilt a week! I figured designing a new one every week, at least in pixels, would give me a little bit of that thrill of a completed project! I use a combination of Electric Quilt and Photoshop to mock up the patterns. Sometimes just Photoshop. But I do have a nice stash of fuchsia fabrics so this one may actually come to fruition one of these days! Oh Jessie! I adore this. Just the perfect thing to bring some happy colors to the winter. I have to laugh though Jessie. You are in Purple DENIAL! You need to call it your new favorite color though. I love the mock up too! I try to put pencil to paper every day to spark my imagination. So fun to see you doing it digitally;) Keep it up, please. I love it. Do you have a link or information about where to find this pattern? Thank you!